A $40 washing machine design that uses no electricity. Alex Cabunoc and Ji A You are the creators of GiraDora – a pedal-powered washing machine that can spin wash and dry clothes in a fraction of the time that it takes to do it by hand. People in areas of the world without access to electricity traditionally wash their clothes by hand, spending up to six hours a day, 3 to 5 times a week. These hours are spent hunched over, often handling moldy clothes and repetitively wringing clothes, leading to a myriad of health problems. This push-pedal powered machine changes all that. 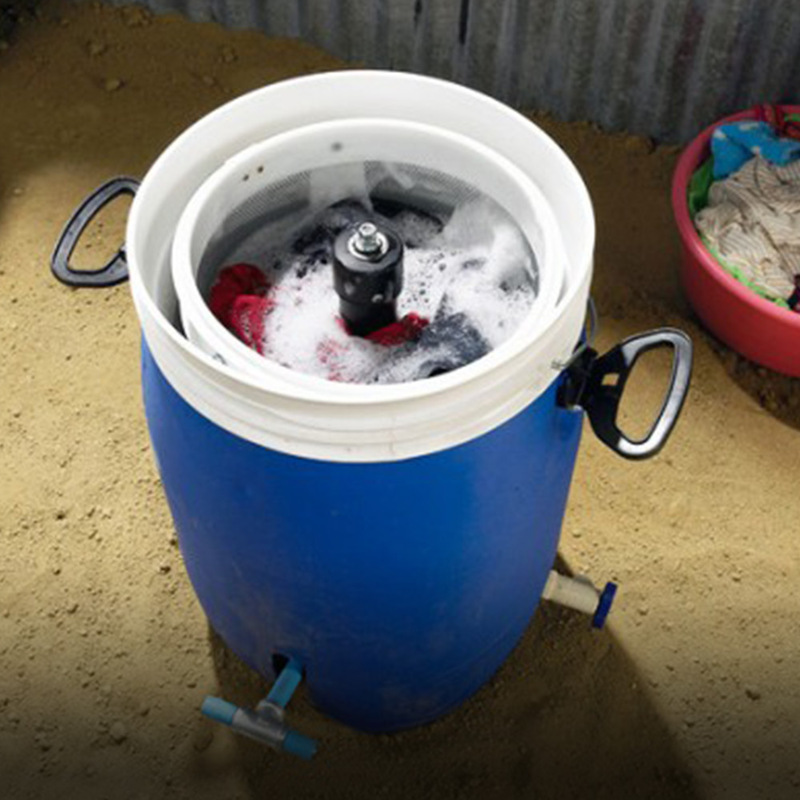 Soap, water and clothing are added to the bucket, which is sealed with a lid that functions as a cushioned seat. The materials are spun at high speeds by leveraging the spring-loaded pedal, making a tedious job easy. The GiraDora user sits on top of the drum-like appliance and pumps a pedal with his or her foot, which agitates, cleanses, rinses, and then spins-dries the clothes. While providing a more comfortable, ergonomic, and efficient way to clean clothes, GiraDora can also be a way to generate income. It costs about $40 and is estimated to more than double productivity, helping to protect the health of women and children, and offering an opportunity to begin breaking the poverty cycle.